If you could help us and it didn’t cost you, would you? This is an excellent way to help us raise funds without it costing you a cent, you may even save some money. Sound too good to be true I hear you say, well it’s not. This is an excellent way to help us provide more 4Kids. It won’t cost you and when you switch on that light switch, you will be creating funding for 4Kids at no cost to you. We all must buy our electricity from somewhere. Buy your electricity from Community Power, pay no more than you pay today (possibly even less like I am) and you will get to donate a share of the profits Community Power makes from your bill to 4Kids. Your donation comes from Community Power’s profits, not your pocket, so you never pay a cent more! To help us at no cost to you, Join today. Joining was very easy. I simply emailed my latest electricity bill to Community Power, they came back to me with how much my donation would be and how much my savings were, I simply had to say ‘Yes’ and they did the rest. There was no interruption to my power supply and other than having to provide the usual details when opening a new account, that was it! We are absolutely passionate about serving families and our community. The 4 Kids and Whanau centre is a not-for-profit, community centre that is run and facilitated by the Glenfield Action Trust. Our role is to hear the needs of the Glenfield community and to respond in practical ways. We have a heart for families and actively seek to partner with the families of Glenfield to connect, support and develop the family unit. We do this largely through the various programmes that we offer. 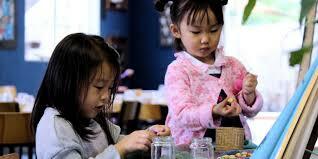 We currently operate a Childcare Centre for children aged 3 months to school age. The childcare centre caters for 50 children each day. We believe really strongly that our children learn through play and we love to offer children opportunities to discover and explore. We also run a weekly playgroup where you can come along with your child to meet other families and develop friendships. 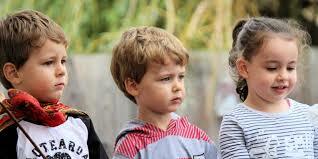 We also operate a Before & After School Care for children in our local Glenfield Schools. We drop off and collect children from various schools and bring them back to our centre where we have some awesome fun! Alongside our Before & After School Care, we also run a Holiday Programme for Primary School aged children. We run 2 programmes each day that families can choose from. A trip based programme where we head out for some awesome Auckland fun. And a centre based programme which is a structured based programme run onsite at 4 Kids & Whanau. Legacy is our latest initiative, Legacy is all about offering independence for adults with intellectual disabilities. We offer shared housing for people with disabilities where they can learn independence within a supportive community setting. Community Power is a Social Enterprise company. That means they share the profits they make with us when you buy your electricity from them. Community Power is New Zealand owned and operated and operates from the North Shore in Auckland. Community Power is an electricity retailer, certified by the Electricity Authority, operates throughout New Zealand and can provide electricity to both households and businesses. If anyone can provide a business bill for analysis then please do so. The donation amount from a business account is typically larger as businesses almost always use more electricity than a household.